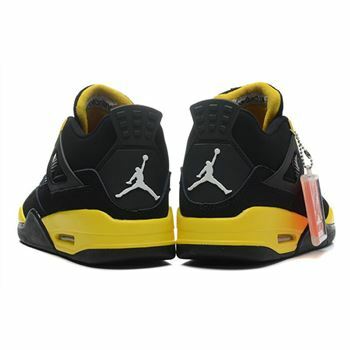 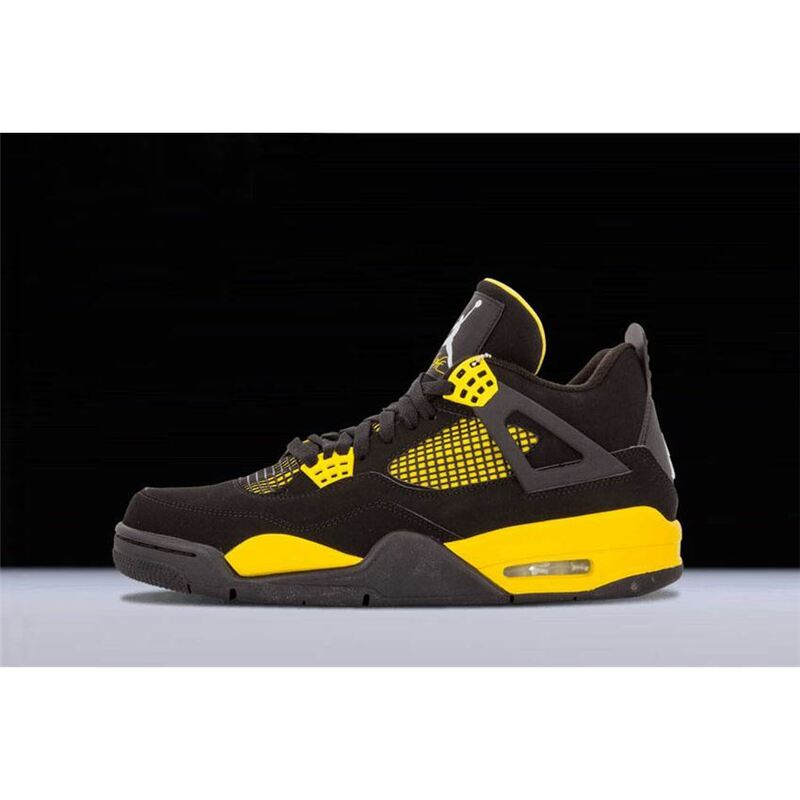 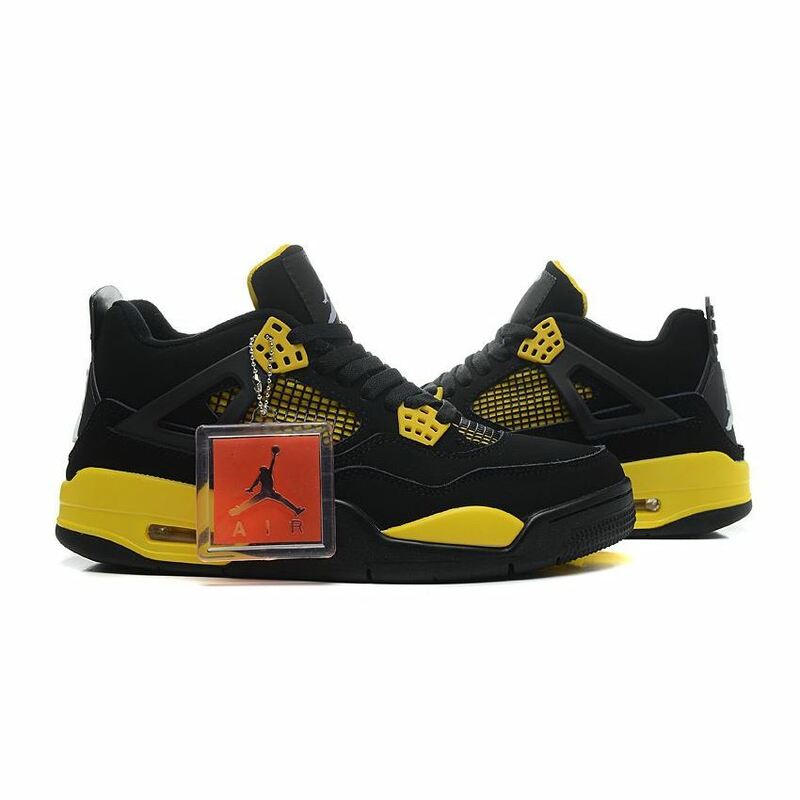 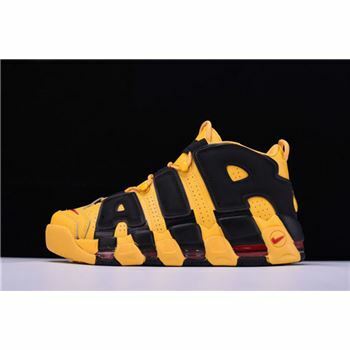 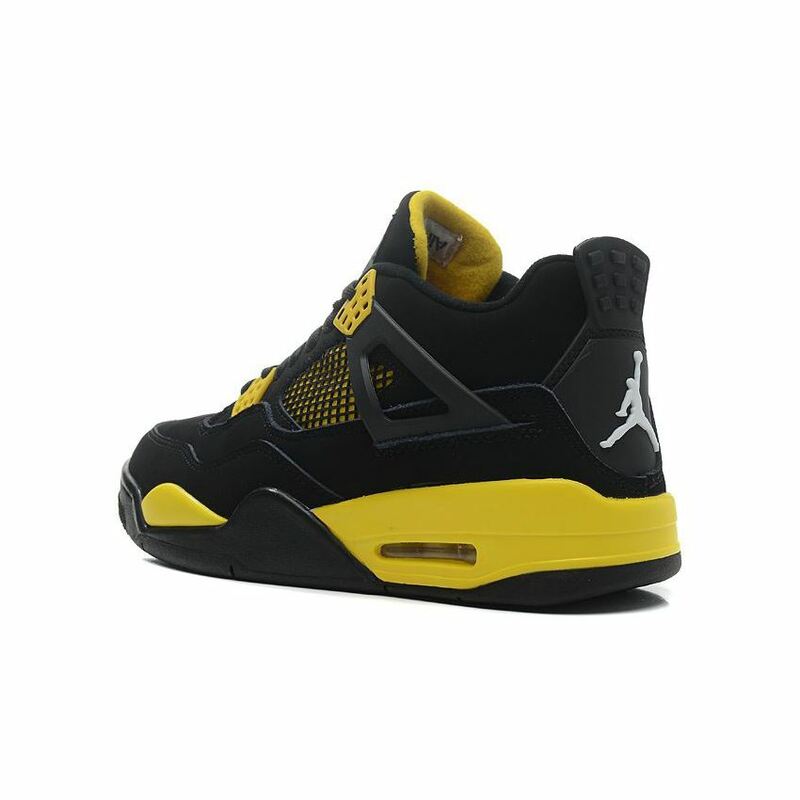 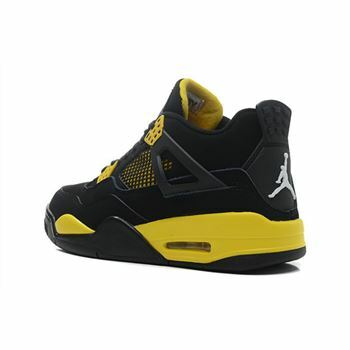 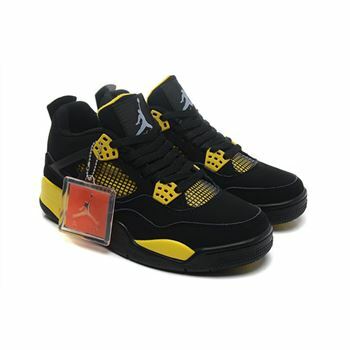 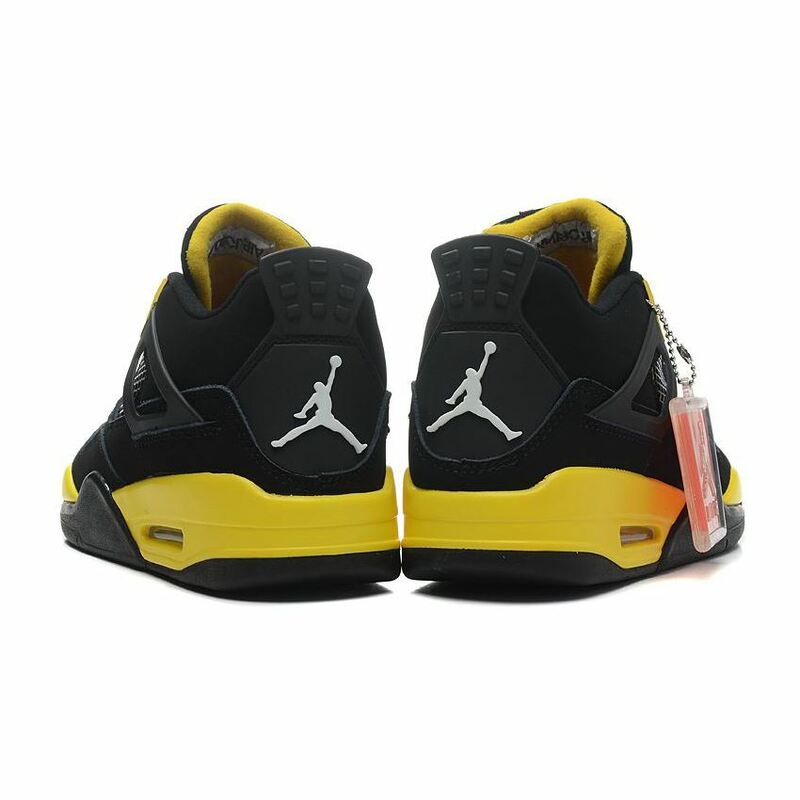 The Air Jordan 4 Retro "Thunder" 2012 features a black suede upper with tour yellow on the mesh underlays, tongue liner, eyelets, and midsole. 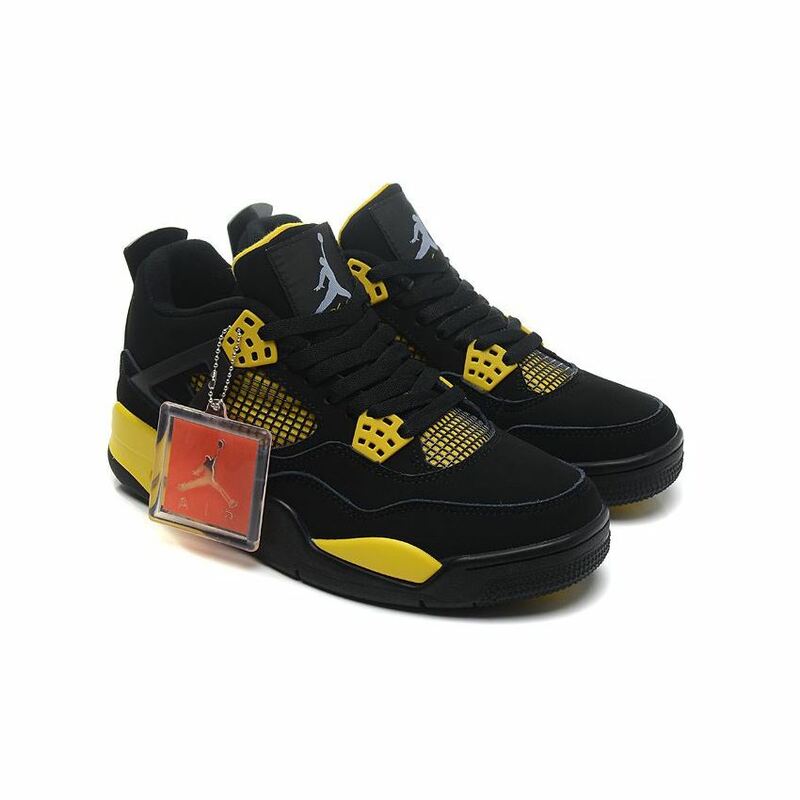 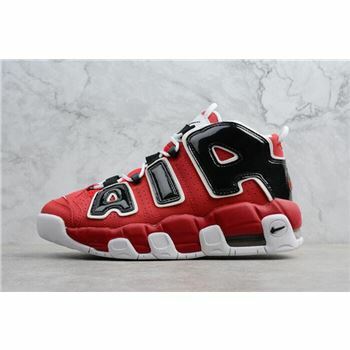 The Air Jordan IV made its initial debut in 1989 and was instantly praised for its unique design. 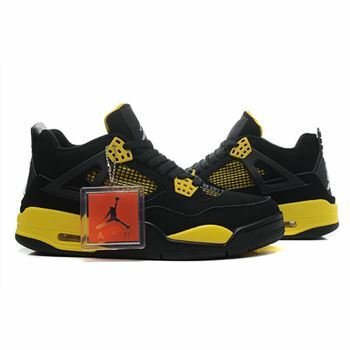 The Tinker Hatfield creation features a 3/4 (or mid) cut similar to the Air Jordan III, large "Flight" logo on the tongue, plastic lace hole accents, and a visible Air-Sole unit.